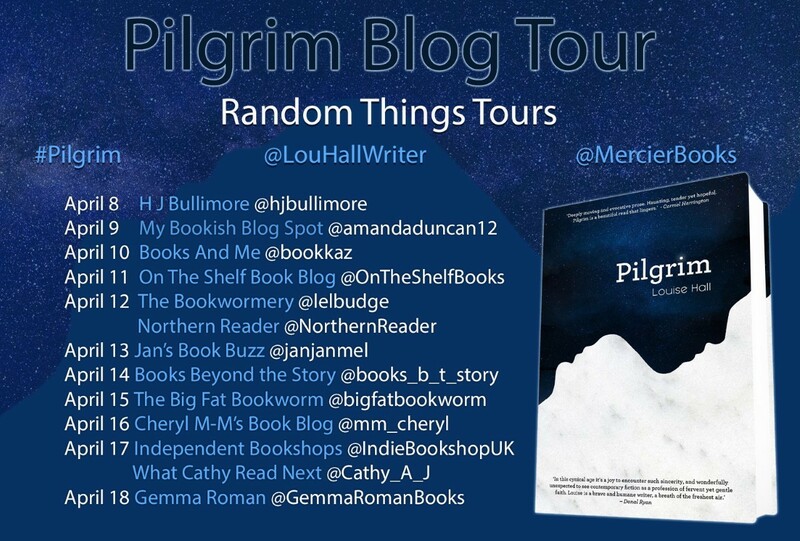 Delighted to be the latest stop on the Blog Tour for the wonderful PILGRIM by LOUISE HALL. My thanks to the author, publisher and Anne of Random Things Tours for letting me be part of it all! In Dublin, fourteen-year-old Jen and her father, Charlie, are struggling to cope with the death of their mother/wife. Charlie, in particular, seems to have given up on life. On their arrival, however, they find a village in upheaval. 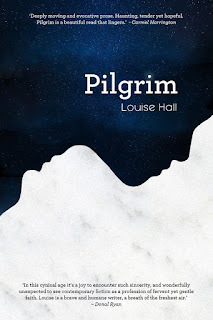 An influx of pilgrims have swarmed into the village, each looking for their own miracle. Then there are the local police, who aim to suppress this so-called `revolution'. Amid all this, Jen makes a friend, Iva - one of the children who claims to have seen the Virgin Mary. Told with a deep humanity and grace, Pilgrim is a story about a man who feels he has nothing to live for, and a daughter who is determined to prove him wrong. A nuanced and moving exploration of grief and faith. Unique subject matter based around the famed Medjugorje apparitions. The author already has a dedicated readership built up from her two non-fiction books on Medjugorje. This is her first fictional take on the story. I found this to be a very subtle but totally engaging story that took you along on the pilgrimage with the characters and allowed you to experience your own changing thoughts and moods as you follow these people who are dealing with such sadness in their lives that they're struggling to see a way forward. Set in the early 80's we follow a family who have been broken by the death of Sarah, who had just argued with her husband and his grief threatens the wellbeing of their daughter, Jen, who has to witness her father almost give up on life. When the chance to go on pilgrimage through war-torn Yugoslavia comes up, Jen is eager for her and her dad to go along and repair their broken hearts and try to find meaning to it all. What I loved about this book was that both characters were dealing with grief in completely different ways. While they're away they get the time to process their thoughts - and actions - and it was fascinating to see how being somewhere different changed their outlook and thought processes by meeting others along the way who showed them different paths. Just that little bit of hope gave them new perspective and taking them out of their comfort zone was much needed and just showed the power of time helps with the healing process. I think it's one of those books that will speak to each reader in a different way and I loved how gentle the pace was but always thought provoking and a pleasure to read.